Jessie has been working part time as the receptionist for the Halifax Shambhala Centre and Shambhala International, and continues to coordinate the North End Meditation Space. This fall she also co-taught The Heart of Buddhist Psychology with her father Joe Litven at Dorje Denma Ling. Mark gave the lung and taught on The Sadhana of Nonmeditation in Boston, and met withTulku Thondup while there last fall. 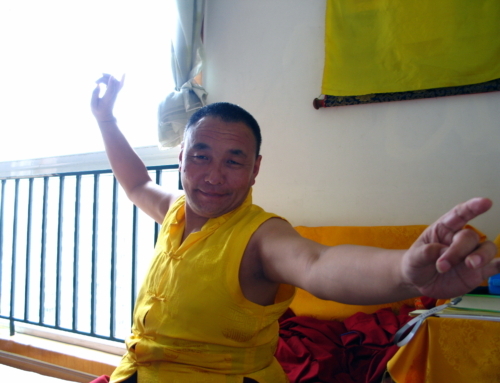 He continues to lead magnetizing and enriching fire-offerings at Dorje Denma Ling, and will lead a four-karmas fire offering there in the fall of 2015. In October, he gave presentations on dharma translation in Washington, DC, as well as the lung for The Sadhana of Nonmeditation. Mark continues to teach meditation to the public in Halifax. Scott went to Nepal for the birthday celebration of Khenpo Tsultrim Gyamtso Rinpoche and to attend Marpa Foundation board meetings. He taught mahamudra shamatha for a week at the Söpa Chöling retreat, as well as a week-long retreat at the Victoria Shambhala Centre. 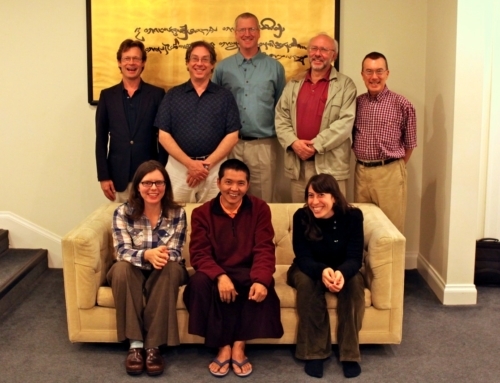 Scott attended a “text retreat” in Seattle, where Dzogchen Ponlop Rinpoche, Acharya Lama Tenpa Gyaltsen, and senior Nitartha teachers met to map out the structure of the arguments in the sixth chapter of the Madhyamaka avatara and to discuss some of the difficult points of the pramana tradition. Scott then attended Nitartha Institute in Bellingham, where he assisted with the course on mahamudra shamatha and taught “Mind and Its World,” a course on valid cognition. He also gave the lung for The Sadhana of Nonmeditation in Seattle. This fall, Scott returned to Bangkok for a meeting of the Common Buddhist Text project, compiling sources from the Theravada, mahayana, and vajrayana traditions to create a Buddhist Bible. 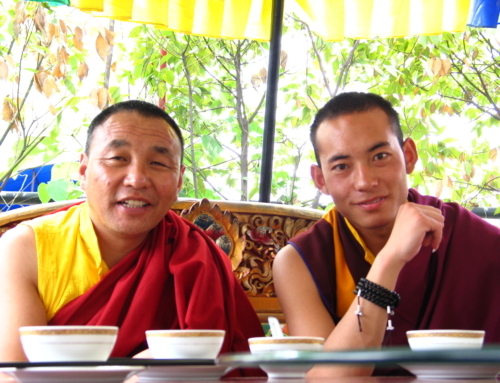 While there, he also taught at the Bangkok Shambhala Center. Scott continues to co-lead the Sadhaka Pith Contemplations class with Andy Karr in Halifax. Larry gave many on line presentations on Vajrayogini throughout this past year. He and Dorje Loppon Lodro Dorje met with sadhakas in Halifax. He also met with sadhakas in Boulder and Denver, as well as giving slide show presentations of our work with Karma Senge Rinpoche. Larry taught in Akron, Ohio, on the “Life and Teachings of the Vidyadhara.” Larry gave the lung for The Sadhana of Nonmeditation in Halifax and at Gampo Abbey. Once again, he led the Vajrayogini druppa at Gampo Abbey, and also led the amending fire offering this fall at Dorje Denma Ling, with 43 practitioners attending!